"Enjoy reading about the history of ordinary women's lives in the past? You'll want to read this"
You'll be £19.99 closer to your next £10.00 credit when you purchase Maids, Wives, Widows. What's this? 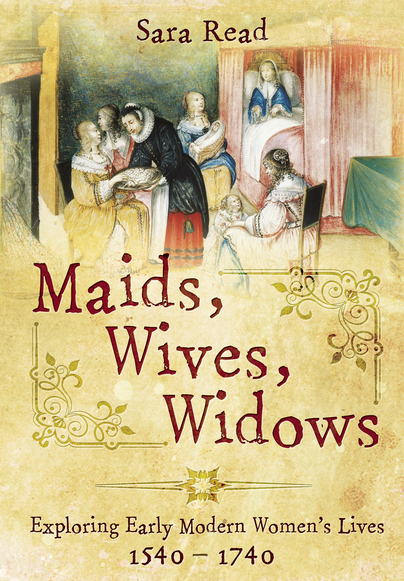 Maids, Wives, Widows is a lively exploration of the everyday lives of women in early modern England, from 1540-1740. The book uncovers details of how women filled their days, what they liked to eat and drink, what jobs they held, and how they raised their children. With chapters devoted to beauty regimes, fashion, and literature, the book also examines the cultural as well as the domestic aspect of early modern women's lives. Further, the book answers questions such as how women understood and dealt with their monthly periods and what it was like to give birth in a time before modern obstetric care was available. The book also highlights key moments in women's history such as the publication in 1671, of the first midwifery guide by an English woman, Jane Sharp. The turmoil caused by the Civil Wars of the 1640s gave rise to a number of religious sects in which women participated to a surprising extent and some of their stories are included in this book. Also scrutinised are cases of notorious criminals such as murderer Sarah Malcolm and confidence trickster Mary Toft who pretended to give birth to rabbits. Overall the book describes the experiences of women over a two hundred year period noting the changes and continuities of daily life during this fascinating era. she focuses on the seventeenth century in particular, which is evident in the overall balance of material used. Her occasional use of contemporary verse takes us seamlessly to the period. sixteenth-century break with Rome, to the relative multiplicity of Anglican and non conformist forms of worship and the increasing role of women in ecclesiastic leadership. The excesses of food and drink for the rich and scarcity of a balanced diet for the poor is described. Introduction of tea drinking and the first coffee-houses, and changes in drinking habits as men congregated there to gossip and read their newspapers, is discussed. Likewise the response of women who claimed that this craze for coffee drinking was making their men impotent. It gives the reader insights into changing society and the place of women in everyday life across 200 years. Unfortunately the long timescale covered means that it is not always possible to determine the exact historical context of the particular subject the author is discussing. She celebrates the literary women, some of whom wrote prodigiously in a time when the majority of women were unable to write. journey towards equality. Conversely, we see how some women, against all the odds, held their own in what was effectively ‘a man’s world’ and paved the way to the legal, social, and political liberation of women in a time yet to come. This book is both an enjoyable read and, for those interested in the period, a useful reference to students. Provides a fascinating insight in to the cultural and domestic intimate lives of women of all levels of society in the mid 16th to mid 18th Centuries. An invaluable book if you have traced your ancestors back to the 1750s or earlier, or if you are just curious about the everyday lives of women in England before 1740. 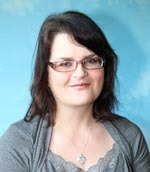 I am a retired librarian with history degrees specialising in the early modern period from the universities of Exeter, London and Oxford, and consider myself well read on the period. I have just read you excellent book 'Maids, Wives, Widows' and am writing congratulate you on a superb achievement. The book is really well written, authoritative, full of interesting information and accessible to the 'general reader'. I can see why Pen & Sword took it on. I have enjoyed the book immensely and wish you well for the future. Academics don't often get fan mail, so I hope this encourages you! Wonderfully absorbing and most enlightening book. An honest insight into the lives of early modern women. A welcome guidebook to women's daily experiences in the early modern period. [Given the Your Family Tree 'Seal of Approval']. Sara Read takes us into the world of 16th-century women observing them at work, in the home, as mothers, in religious life and in politics. ... A good introduction for students or general readers. A useful and accurate reference point to explore the female position in the period. As is well known, the history of the lives and the lot of women down the ages had for many years been sadly neglected. Fifty percent of the population were treated as mere footnotes in history but enlightenment arrived and is now supported by an army of historians who are putting the situation right. As an historical researcher myself it was always very satisfying to add the previously unknown names of medieval woman to family trees originally created by the Heralds of Elizabeth I, who were not concerned with recording everything, just the lines of descent regarding titles, wealth and property. Maids, Wives, Widows 1540-1740 uses the three titles by which a woman would have been known during this period and is a warts and all, fascinating and detailed overview of the day to day events of women from all levels of society at this time. Dr. Sara Read covers all the key elements, from what a good wife was deemed to be, dress, hygiene, food and drink (and responsibility for making beer! ), criminals, the arts, pregnancy, birth and raising their children to adulthood. Breastfeeding and menstruation were (and indeed still are) key moments in women’s lives and these are also included in detail, though one might have already expected this to be an insightful section of the book as the authors first work was entitled Menstruation and the Female Body in Early Modern England. This is not a book you have to read from cover to cover, though in order to better understand the subject I would recommend this, but it is also a history that can be used to dip in to. Family and Local historians will find a wealth of detail to bring to life some of the names and dates of their ancestors, from the quirky and unfamiliar to other things that will have a more modern day echo. The story of Samuel Pepys going down into his cellar and stepping into a pile of excrement courtesy of his neighbour being behind in employing the night soil men is a new one to me! Though women do seem in general not to have had to do this job – night soil men were not cheap – but even my own humble ancestors employed them. This has been a thoroughly enjoyable, eye-opening read from an author who writes confidently about a subject that she knows so well and is obviously close to her heart. If you want to understand the historical role of women between 1540 and 1740 then don’t go searching through Amazon books, this one is by far the best place to start. I just hope there is to be a second volume perhaps from 1240-1540? Keep up the good work Sara. A lively exploration of the everyday lives of women in England from 1540-1740. Absorbing account of women's lives in early modern England: how they filled their days, the work they did and how they raised their children; along with accounts of pivotal moments such as publication of the first midwifery guide by an Englishwoman, Jane Sharp, in 1671.